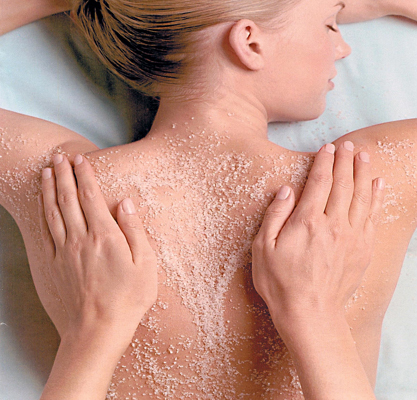 Brighten up your day with a Cambrian inspired Body Polish paired with Swedish Massage. The session is enhanced with the soothing holiday scent of LUCIA APOTHECARY’S – Edna: Honeysuckle, Rosehip & Jasmine sugar scrub. Hot Towel Compresses are used, on the back and legs, to maximize the effects of the quality products used as well as to deepen your massage experience. This package also includes our Cambrian Wine & Merchant Tour Coupons, a $25 coupon to ROBIN’S RESTAURANT and a gift bag with additional treats and coupons from Cambria’s local shops. * This session can also be turned into a duet session with Christa and Trish. With this, you have the option of getting the $50 PARTY OF TWO dinner coupon that can be redeemed at Robin’s or Madaline’s. Please let us know in the special requests if you wish your sessions to be in the duet suite. May not be combined with any other specials or offers. Regular 24 hour cancellation policy applies. Sessions include time for consultation and dressing.